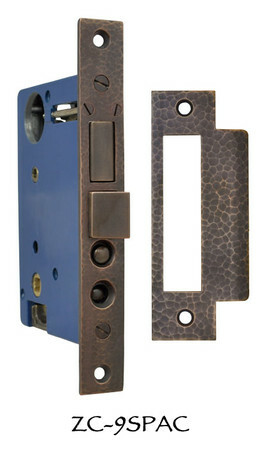 Most of our locks are offered with a choice four patinas on the faceplate: polished brass, an antique brass finish, oil rubbed bronze finish, and nickel plated. 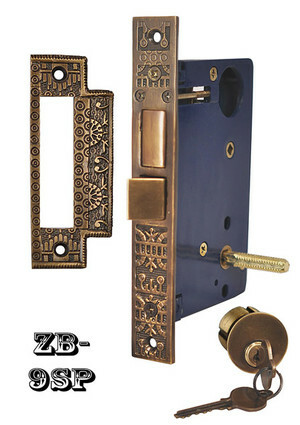 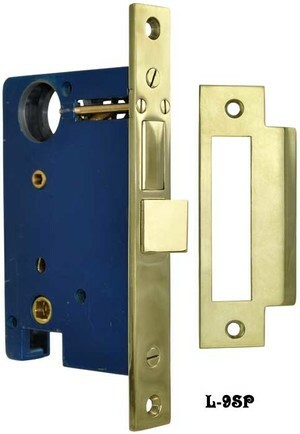 We offer both antique reproduction mortise locks, and contemporary mortise locks. 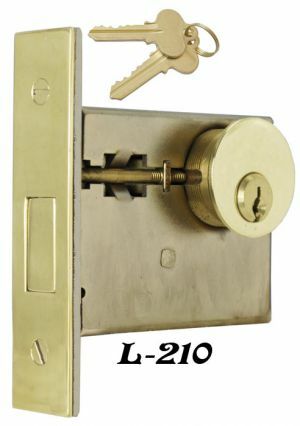 1" | 1 5/8" | 1 3/4" | 2"
2 1/4" | 2 3/8" | 2 5/8"
2 1/4" | 2 5/8"
We also have a large number of parts and extras for our (and many historical) locks. 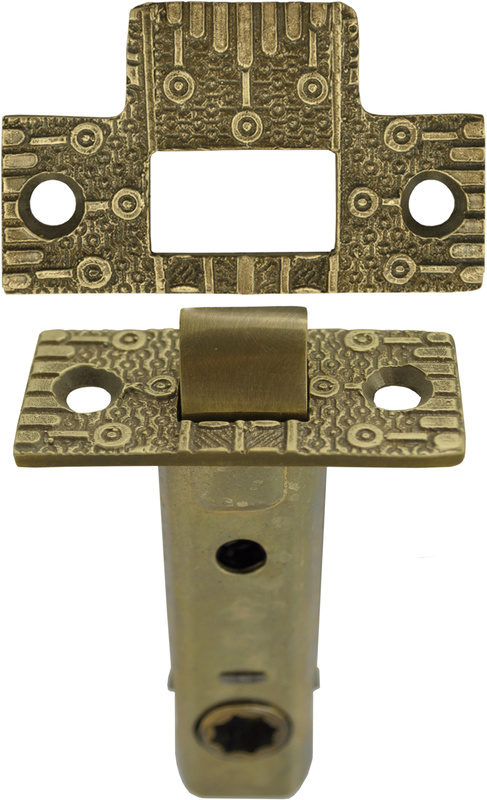 If you would like an extra skeleton key, or other accessory please see our lock parts and extras page.